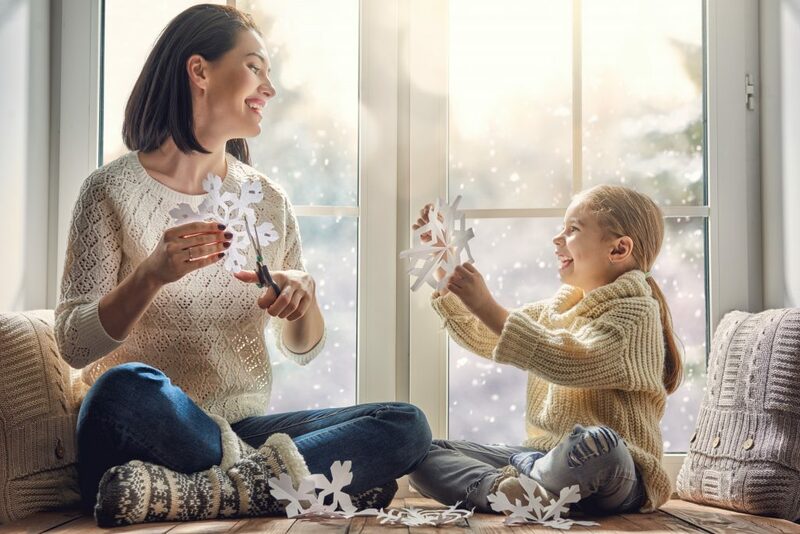 Tips to Keep Your Home Warm and Inviting this Winter | Miller Bros. Furniture Store | Siouxland's Best Furniture at Great Prices featuring living room, dining room, bedroom, outdoor furniture and more! Everybody, even the most fabulous interior decorator, feels the winter blues now and then. The weather can be so cold that you and your friends may not want to leave your homes, while the dark light of the day can sap the warmth right out of your normally cozy spaces. Bring life back into your living room this season with these handy design tips that will leave your friends and family feeling warm and welcome! While hardwood floors are popular with homeowners, due to their low maintenance and sharp look, they can become quite cold to walk on in the winter and lose up to 10% of your room’s heat. Avoid frozen feet with the elegant comfort of an area rug! Having a rug in your room will warm up both the feet and the mood of any guests. As the sun sets much earlier and gray clouds hover up above, winter can be a pretty dark time in general. Whether it’s a hanging light, wall sconce, reading lamp, or a simple candle, having multiple sources of light will make the whole room glow and allow for different activities like reading or games. Who said the party had to end at sunset? The stark-white snow can be inspiring to some, but the cold brightness can drain all feeling from your spaces. Challenge this effect by taking your decorating game to the next level with colors that pop! Color can be added to spaces in a number of ways, from a fresh coat of paint to a bright blanket draped across your sofa —the options are limitless! Add more life to your space by adding potted plants! They offer a touch of rich shades of green, but they have also been shown to reduce the stress in most people. A single succulent can welcome your guests and remind everyone of the warm spring yet to come! Don’t just survive the winter, enjoy it by making your home the event hub of the neighborhood! Call Miller Bros. Furniture today at 712-255-3575 or visit us online to discuss your winter interior decorating with our talented experts.